I pride myself on respect taking great care of customers property and that of their neighbours, considering the environment and wildlife and leaving everywhere clean and tidy. Trees are a beautiful essential part of our world but when we bring them into our close surroundings they need to be maintained, they may outgrow their space and block out light and views. Trees may have dead or diseased branches, even the whole tree can die which can all be potentially dangerous to people and property. 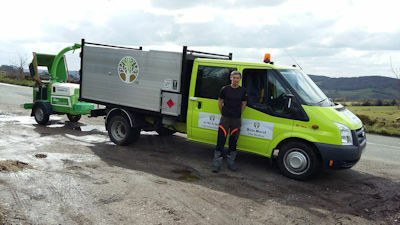 As a Tree Surgeon I work in the care and maintenance of trees, I listen carefully to my customers requirements and concerns and advise them, then together we can decide on the best course of action by pruning trees which are overgrown, removing branches that are dead or dangerous or growing too high, far or wide, thinning out trees which have grown too dense and heavy and felling trees which are in the wrong place or diseased, dead and dangerous to people and property. These operations have specific names for different types of work, a description of these can be found on my services page. 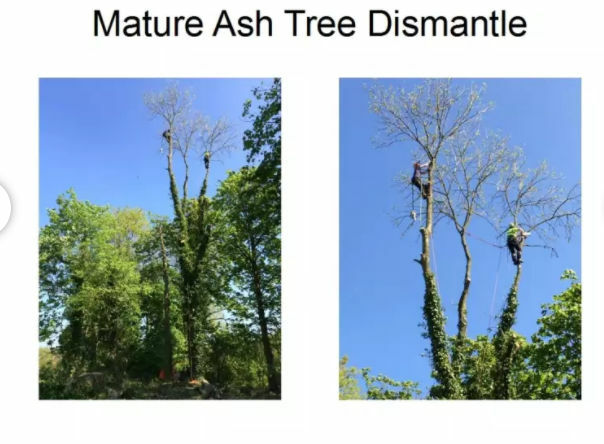 Tree Surgery is a very dangerous specialised occupation, a tree surgeon needs to be highly skilled, experienced and able to manage risk, have a head for heights and feel comfortable high in the top of a tree attached only by a harness and ropes while using powerful dangerous machinery and equipment. An artistic eye is required to be able to see how the tree will look when the work is completed creating an aesthetically pleasing tree. In order to carry out tree surgery safely and correctly qualifications are required, please see my about page for details of my qualifications. Safety play a very big part, equipment must be regularly checked to HSE Standards to be safe and fit for purpose, please see safety at the bottom of my about page. Copyright © 2018 Wain Marsh Tree Services. All Rights Reserved.